Millesima has recently created Millesima Tips, an educational tutorial for those who wish to learn more about various subjects in the world of wine. From vine to glass, this handy guide is full of useful information on the intricate processes involved in the elaboration of a wine. The first episode of our series on wine-making explores the vine cycle, from the plant’s dormant phase in the winter all the way through the dropping of leaves after the grape harvest. The grapevine is a perennial plant, meaning that these phases follow an annual cycle. The developmental stages of the vine remain more or less consistent from one year to the next. What ultimately determines the outcome of the harvest and, to a significant degree, the quality of a wine is the climate enjoyed (or endured) by the plants in a certain region. 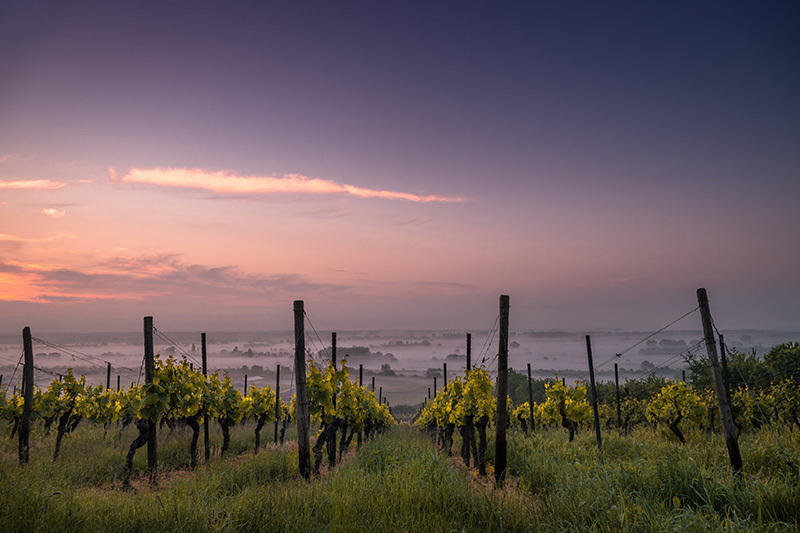 The journey to wine begins with the grapevine, a specific plant species called Vitis vinifera. Human intervention, in the form of pruning and trimming, drives the vine to allocate its resources into the production of fruit rather than vegetative growth, referred to as vine vigour. Each vine is planted in a terroir (a combination of environmental factors, like soil composition, climate and geographic orientation) that suits the variety of grape produced by that vine. During the winter, when the vines are dormant, they are pruned following a specific and predetermined vine training system. This allows the plants to grow in the way desired by the winemaker. 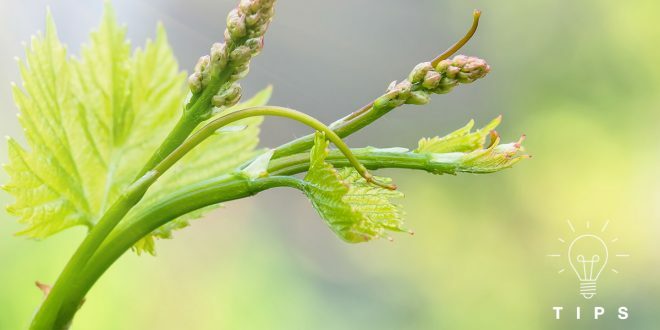 At the end of winter, warmer temperatures and increased exposure to sunlight stirs the vines to “awaken” from their dormant stage, during which the buds are covered by hardened protective scales. The new vintage is marked by the “weeping” of the vine, when the sap rises and forms droplets at the tips of the pruned branches. The buds break in the early spring and shoots begin to grow, continuing into the spring. The shoots sprout small leaves, which commence the process of photosynthesis and accelerated growth. Towards the end of the spring, clusters of small button-shaped flowers begin to grow at the tips of the shoots. Flowering takes place for a period of around 10 days in late May or early June (in Europe). The flowers self-pollinate and the vines become fertile, entering the next stage of their life-cycle. The pollen fertilizes the ovaries, which produce seeds. The flower gradually transforms into a fruit protecting the seed. It is this grape that will be pressed to produce wine. While the flowers that do not get fertilized fall to the ground, the fertilized flowers grow a grape to protect the seed. The percentage of fertilized flowers is crucial, as it determines the yield of the vine. At this stage the fruit is very vulnerable to frost and disease. High temperatures, low humidity and water stress can drastically reduce the yield, as can vine diseases, such as fanleaf. One way in which yield can be reduced is millerandage, a situation in which grape bunches contain berries of different size and maturity. The grapes continue to grow in size and when they reach 50% of their final size, the clusters begin to hang down towards the ground. At this point the berries begin to touch and reach 70% of their final size before the next stage in the vine cycle. Arguably the most beautiful time of year on a vineyard is in mid to late summer when the grapes change colour and begin to ripen. During veraison the grapes change from the vegetal green of adolescence to the yellow, pink, purple or red of maturity. 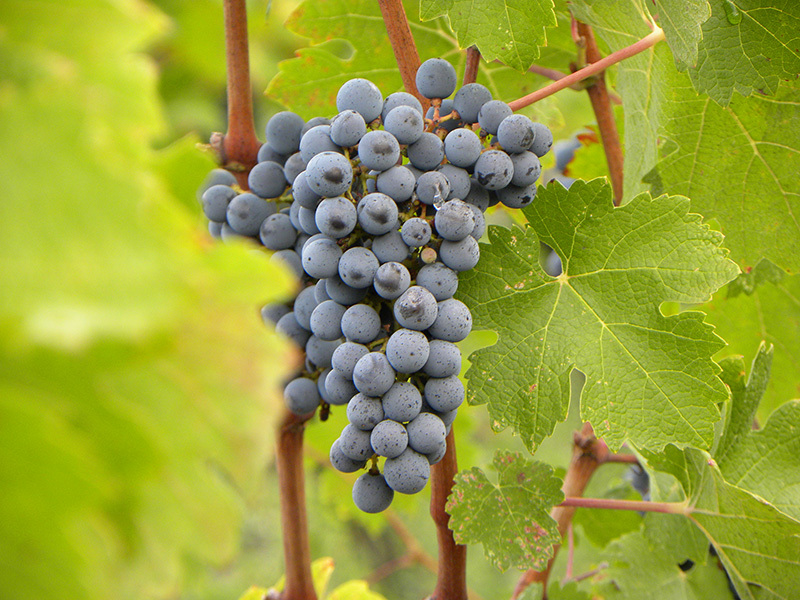 The change is caused by the chlorophyll in the skin of the berries being replaced by anthocyannins (in the case of red wine grapes) and carotenoids (in the case of white wine grapes). Veraison does not occur evenly, as the berries on the exterior of the cluster, which are more exposed to the sun, tend to change color first. At this point the berries enter the engustment (ripening) phase during which they build up sugars. As the grapes accumulate glucose and frucose, the pH (which indicates acidity) begins to increase and berries become less acidic. The canopy (leaf cover) of the vines can be managed in a way to increase the fruit-to-leaf ratio, compelling the vine to channel more of its energy and limited resources into the fruit rather than bud growth. This can also trigger early veraison, which is desired for the production of high quality wines. If the grapes undergo early veraison, they have more time to ripen. During this phase, winemakers make several visits to the vineyard to taste the grapes and determine when to harvest. They test for a variety of indicators of optimal maturity, including sweetness level (which will determine alcohol level of the wine), the hardening and change in colour of the seeds (which affects tannin quality) and the thickness of the skin. What follows next in the vine cycle is human intervention. The grape clusters are collected during harvest, the most exciting time to be on a vineyard. As a rule of thumb, optimal maturity of the grapes is reached around 40 days after the middle of veraison, depending on the terroir. At this time grapes have developed the sought-after tannins and phenolics, chemical compounds that affect the flavour, colour and mouthfeel of the wine. After the fruit is harvested, the vine continues to carry out photosynthesis, storing its carbohydrate reserves in the root and trunk. When enough reserves have been collected, the leaves begin to change from green to yellow as the chlorophyll breaks down. As the temperature drops, the vine loses its leaves and enters its dormant phase. After a busy growing season, it’s time for the plant to rest. And so another cycle begins. As the winemakers get busy tasting the developing wine to understand the aromas, flavours and texture of the product, the vine relaxes and gathers its strength for the next vintage.